Welcome to an all new section on bejbi.se. This section is going to present an important Tranceclassic just before the weekend starts, all written and presented by a long time friend and a walking wikipeda of music: Niklas. The first track in this section is my all-time-favourite. I first heard this sometime in 1997 on a mix-cd called Club Mix 97 which contained loads of great tracks that I still listen to. The things that stood out most was the atmospheric strings, the piano and the guitar-riff. The track was originally released back in 1996 and became an instant Ibiza-anthem with the balearic sound that’s captured in the song. I started looking for other tracks by the same group and later found alot of wonderful songs that I still got on repeat on my stereo. The album, Far from the Maddening Crowds, which was released in 1997 contains loads of gems like Sunstroke, Red Skies and Lost You Somewhere. The next album, Behind the Sun, which came out in 2000 contained loads of gems like Saltwater and Dont Give Up (with Bryan Adams). The colaboration with Bryan Adams started with Chicane remixing the track Cloud Number 9 which was initially a rocktrack released in 1998 and later remixed for the compilation album, The Best Of Me. A fun fact was that ”Dont give up” was first relased as a hidden track on Bryan Adams Compilation (see the last track on the discogs-link). The fun thing is that I found the track by mistake whilst making the album into mp3. The track contained one song more than on the index and didnt start immediately. Dont Give Up got its first radio play on december 31st 1999 by DJ Pete Tong on his radioshow Essential Selection and was dubbed ”Essential New Tune for the millennium”. When the track was played they didnt name the vocalist but was later official with the release of the single. The biggest commercial success came in 1999 with the release of the single Saltwater which used the vocals of Máire Brennan from the group Clannad. The original track was called Theme From Harry’s Game and later re-written and re-sung to fit the Chicane-track. It became Chicanes biggest hit and was played on almost every radiostation in the world and topped alot of charts worldwide. A fun fact: Justine Suissa, famous singer in the trance-genre was first made famous after singing on Chicanes track, Autumn Tactics back in 2000. After that she sung for Oceanlab, Armin Van Buuren and Markus Schulz just to name a few. Since then, Chicane has released loads of tracks and albums with special guests as Tom Jones and also remixed tracks for people like Cher, BT, Natasha Beddingsfield, Armin Van Buuren and loads of other great artists. Nick Bracegirdle who’s the main man behind the moniker also released some really good stuff under the name of Disco Citizens. The track ”Offshore” was co-written and co-produced by Nick Bracegirdle and Leo Elstob. Chicane has released 5 albums so far. In my humble opinion i’d say that the first 2 albums were the best as they had the original chicane-sound with the ibiza-influences that I like. The cool thing is that the last 2 album is more back-to-basic and I hope that Nick will continue working in the same direction. I had the opportunity to see Chicane live [BejbiGallery: 1 2 3] last year and it was one of the best nights ever. FutureSoundOfSweden arranged the night [poster] which also included The Thrillseekers Live plus Ferry Tayle and Airwave playing live as Cape Town. I was standing right beside the stage and had goosebumps all over my body! 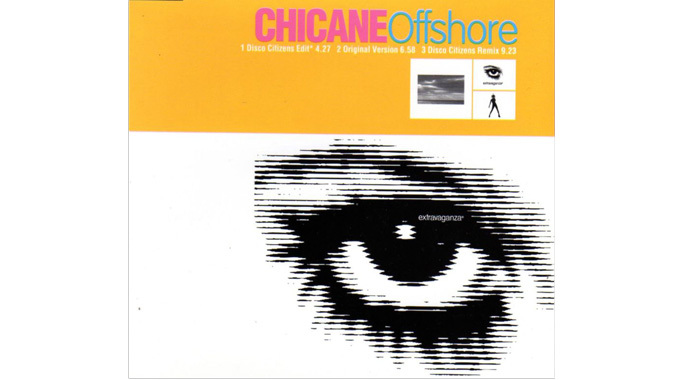 One Response to " Classic for the weekend: Chicane – Offshore [Disco Citizens Remix] "